From fashion-forward to campus casual, Occhiali Modern Optics has the eyewear looks that will get you through the semester in style. Eyewear has become a true trend for the back to school season and bright, bold frames are an effortless way to show off your style. Whether you’re studying in the library or strolling down the halls make a statement with a pair of stylish new frames. With Labor Day just around the corner, it’s time to discover your options for the perfect back to school eyewear. 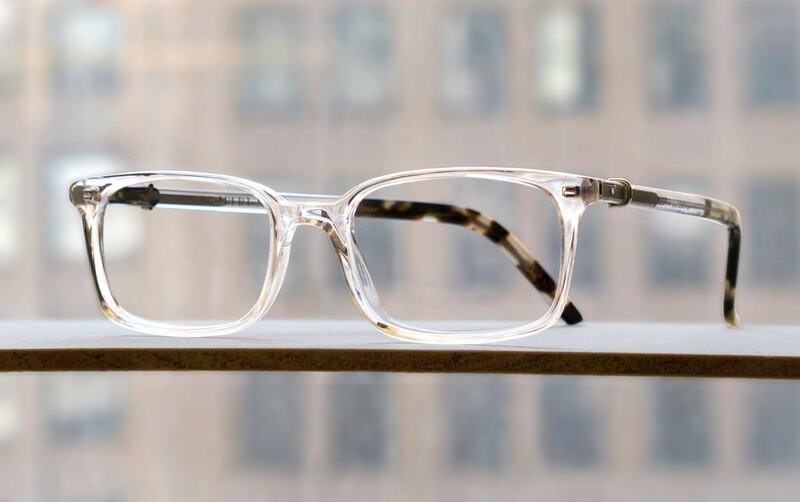 Show off the face behind the frames and freshen up your collegiate style with an airy transparent frame. This modern twist on traditional wayfarer is a fresh and stylish way to turn heads. Transparent frames can range from being completely clear to being tinted with a light color. Take a look at our Robert Marc frames for example. They are crystal colored rims with tortoiseshell temples to add just a touch of flare to your look. If you want to switch it up this year, then take on the transparent trend. Be bold with a pair of colorful frames. The possibilities are endless when it comes to colorful glasses—from bright hues to subdued shades—and there’s no better time to experiment with your look than during the new academic year. If vivid colors like red or green are too jarring for you, stick with a deep, moody blue. The dark shade mimics the classic look of black frames while still giving you a unique appeal. Stand out in lectures with bold, vintage-inspired eyewear. Classic black frames never fail to exude a cool, confident look. For a charming appeal, bold black frames in a traditionally chic wayfarer style are a great way to get noticed. Not only will these frames draw attention to your face, but you’ll also have glasses that will match any outfit—from the first day of classes to your very last test. Let your academic creds shine with a classic tortoiseshell design. On tortoiseshell glasses, the marbled blend of caramels and browns will soften your look. Contrary to bold black frames, tortoise designs have a more gentle, laid-back appeal that gives off a unique, vintage vibe. This style is a great alternative for anyone who wants something a little fresher than basic black. There’s a wide range of other special details that can take your glasses from drab to fab this school year. Features such as keyhole brides and cat eye styles are a fresh way to heighten the look of a once traditionally plain pair of glasses. Whether you have a love for the arts or are science focused, there is a pair of Occhiali Modern Optics glasses ideal for you. Contact us today to find your pair.